If you’re new to the Columbia, SC area or are just looking for a new veterinary clinic to visit, look no further than Platt Springs Road Animal Clinic. Our state-of-the-art animal hospital is well-equipped with the latest equipment and technology to ensure your dog or cat receives the utmost medical care. Dr. Zboran brings his experience, knowledge, and passion for taking care of animals to our clinic. We are proud to have a Veterinarian with as much expertise as he has. This gives our customers complete peace of mind. Our professionals are experienced in providing an array of separate diagnostic procedures through in-house testing and the use of external laboratories. We also work closely with other local labs when needed. We also have a full-service pharmacy, surgery suite, x-ray capabilities and an innovative hospitalization area for emergencies. 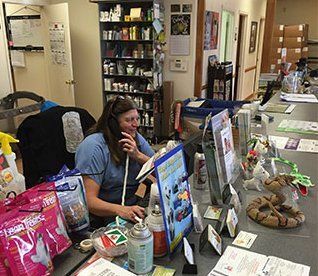 The professional veterinarian doctors at Platt Springs Road Animal Clinic are always ready to help your dog or cat, no matter the situation.